It’s the spookiest month of the year, but for tech-lovers there’s a big event to get excited about before anyone starts carving pumpkins — Google’s annual hardware event. It takes place tomorrow, on Tuesday, October 9, and the event will be broadcast live from New York City, rather than its traditional location in California. While Google I/O tends to showcase the company’s latest software developments — such as the newest version of Android — Google’s October event has always been a carnival of the company’s latest hardware. In previous years we’ve seen the reveal of the Google Home, the mighty Pixelbook, and the reveal of the newest Pixel phones. This year, there have been an endless stream of leaks leading up to the October 9 event, so we have a strong idea what the new Pixel phones will be like and more. Here’s what to expect. Interested in watching Google’s newest hardware be revealed in real time? You’ll be able to watch a livestream of the event at 11 a.m. ET (8 a.m. PT) on October 9 from Google’s YouTube channel. We’ll have people on the ground at the event, so make sure to follow Mobile Editor Julian Chokkattu and Associate Computing Editor Luke Larsen for the latest hands-on information, and keep an eye on the Digital Trends Twitter account for the latest news. Digital Trends en Español will also have in-depth coverage of the event, from Editor in Chief Juan Garcia and Managing Editor Juliana Jara. It’s pretty much a foregone conclusion that we’ll be seeing the Google Pixel 3 and Pixel 3 XL take center-stage at the event on October 9. We’re expecting two new Pixel models from Google — the Pixel 3 and the super-sized Pixel 3 XL. Early rumors suggested there would be a third, lower-cost Pixel phone in the vein of the iPhone XR, but the idea seems to have been laid to rest. According to some pretty conclusive leaks, we’ll see fairly significant differences between the Pixel 3 and the Pixel 3 XL. The Pixel 3 will look similar to the Pixel 2 but will feature slimmed bezels, curved display corners, and a 5.5-inch screen with a longer aspect ratio. The Pixel 3 XL has courted controversy with a deep notch cut into the large 6.3-inch display, and a rather sizeable chin at the bottom. There’ll be an edge-to-edge screen on the XL, which won’t be present on the Pixel 3. It’s not so different on the inside of each phone though, and we expect to see both models powered by the mighty Snapdragon 845 processor. Both will also come with a slightly modified version of Google’s Android operating system, which should ensure super-smooth performance and provide extra fun features. Rumors vary about the rest of the specifications, but most agree that the Pixel 3 will likely start at 4GB of RAM and 128GB of storage, while the Pixel 3 XL may offer a model with 6GB of RAM, similar to the Galaxy S9 and S9 Plus. Google’s still not bowing to the dual-lens trend, and the Pixel 3 and 3 XL will come with just a single camera lens on the back. Both phones will apparently come with two front-facing lenses, however, one of which is a wide-angle lens for group selfies. Google hasn’t really released a home device since the debut of the Google Home Max last year, so it makes sense that Google would throw out another — and our money is on a Google-branded smart display. Rumors on this are actually fairly sparse, but leaked renders have shown a Google-branded smart device, and it’s looking pretty impressive. 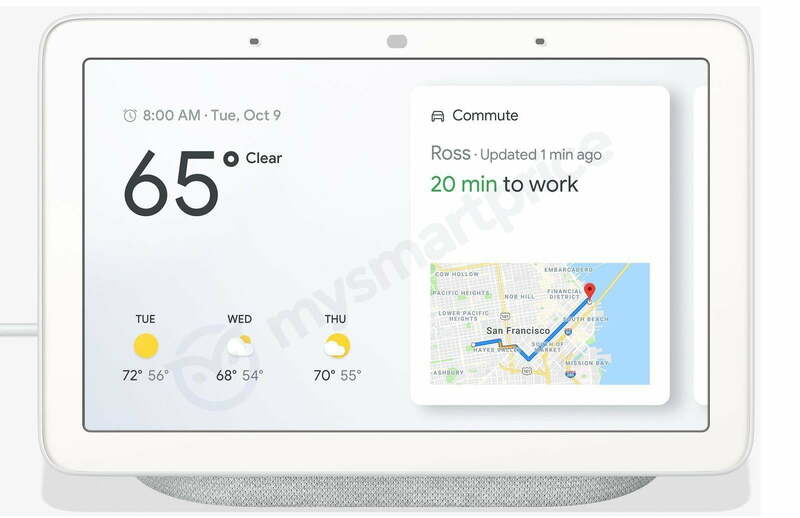 Named the Google Home Hub, the smart display looks like a tablet mounted on a base. Powered by the Google Assistant, this device will be able to tell you the weather, show you the latest news, bring up Nest video feeds, and so on. There’s no camera listed in any of the spec sheets, and it’s currently unclear whether the screen will detach from the base, essentially making it a tablet with a dock. We’ve seen other smart displays powered by the Google Assistant, such as the Lenovo Smart Display — which may be why Google’s allowed Amazon to get a head start with its own Echo Show. But we’re still excited to see what a Google-built smart display will entail. In a similar vein to the Google Home Hub, we’re also expecting to hear details about the Google Pixel Stand — a way to turn a Pixel phone into a fully-fledged Google Home device. Details on the Pixel Stand are scarce, but it seems the stand will allow a Pixel phone to work more intimately with Google Assistant, allowing the Assistant to function with a locked screen, and potentially increasing the number of personalized responses. It’s also likely the stand itself is a wireless charger, and will keep the phone’s battery topped up while docked, which means the stand may not work with earlier Pixel devices as they don’t support wireless charging. It also doesn’t appear the stand has any built-in speakers or other functionality. Last year’s October event saw the release of the very first Pixelbook, so it’s natural to expect a follow up this year: the Pixelbook 2. This new laptop is expected to come with upgraded internal components, including a probable upgrade to 8th-generation Intel processors to replace the older 7th-generation chips in the first Pixelbook. Interestingly, there could be the possibility of a lower-cost model armed with Intel’s Y-series processors, though there’s nothing solid on that yet. It does seem that the new Pixelbook will come with an upgraded 4K display, making it one of the few 4K Chromebooks available (joining Lenovo’s Yoga Chromebook), as well as much reduced bezels to maximize the amount of screen real estate available. Also expect to see improved LTE support on a new Pixelbook — possibly through Google’s Project Fi — and security upgrades, such as fingerprint scanning or even facial recognition. With Chrome OS slowly paving the way to become “Android for tablets,” expect more support for using the Pixelbook as a tablet. Leaked ads for the Pixelbook 2 paint the device as “affordable” — not something you could accuse the $1,000 Pixelbook of. If true, the Pixelbook 2 may come with cheaper configurations that could tempt those with smaller budgets. The Pixelbook may not be the only Chrome OS-based Pixel device at the event. Rumors persist that Google is working on a convertible 2-in-1; the code name “Nocturne” seems completely separate from the “Atlas” name you may have heard, which we’re fairly sure is the Pixelbook 2. Named the Pixel Slate, this product will be Google’s first ever Chrome OS tablet, and will potentially be equipped with the same 8th-generation Intel processor we expect to see in the Pixelbook 2. The most interesting rumors concern the OS it will run: Not content with just Chrome OS, the Pixel Slate may also be able to boot into Windows 10, some rumors suggest — dramatically increasing the range of options open to users. Don’t expect the same bezel-trimming design we foresee in the Pixelbook 2, however. While slimmer bezels are great in most devices, tablets need them for grip, so you’re unlikely to see as dramatic a reduction. Still, we’re extremely interested to know more about this device. A third-gen Chromecast wasn’t on anyone’s radar — until someone walked out of a Best Buy after accidentally buying one. Now it looks like an upgraded version of Google Cast-powered Chromecasts will be unveiled at Google’s October event. Even though the device was already sold to someone, details about it are still elusive. 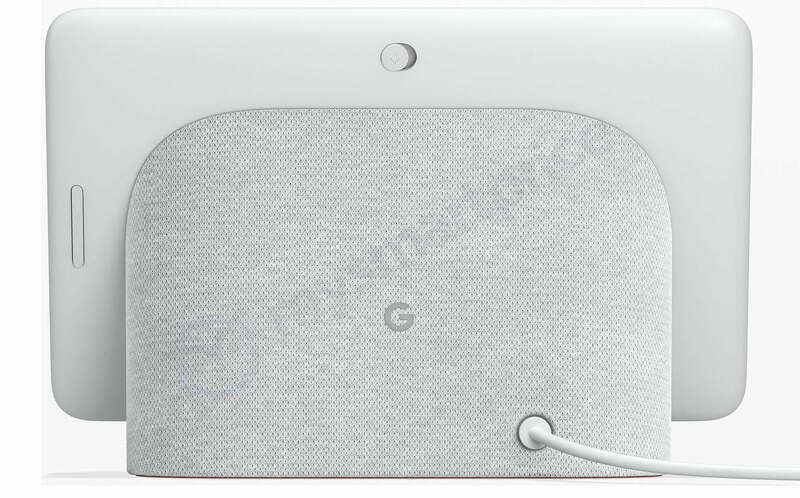 It seems the Chromecast 3 will sport a slightly different look than older models, with a matte black finish and Google’s “G” logo in place of the Chrome swirl, as well as being slightly thicker. It’s also rumored to come with more Bluetooth support than older versions, which could mean support for game controllers and other such devices. It doesn’t seem like a major overhaul, unlike Amazon’s Fire TV Cube, but it might be offered in a bundle with Google’s Home Mini smart speaker. There isn’t much to suggest that Google intends to release a second generation of the wireless Pixel Buds, except for a tweet from noted and usually-accurate leaker Evan Blass. He claims Google will release a new version of the Pixel Buds alongside the Pixel 3 phones. This tweet also mentions a Google Pixel Watch — which Google confirmed won’t be happening. So while we’re not convinced the Pixel Buds 2 will be in attendance on October 9, we do expect Google to eventually get around to releasing an upgrade for its original wireless headphones. If the Pixel Buds 2 do show up, expect Google to have tackled some of the criticism of the originals, including cutting the cord between the earbuds, upgrading the charging case into something more practical, and improving the fit. There’s also a chance the new Pixel Buds are included with the Pixel 3 smartphones as wired USB-C earbuds with Google Assistant functionality. Google’s October 9 event kicks off at 11 a.m. ET.